Tibet is one of the most amazing and adventurous destinations of China and traveling to Tibet can be an expensive trip. Taking a tour to the Roof of the World is an unforgettable experience, and is not the easiest vacation to arrange. Since all international tourists are required to be on a pre-arranged Tibet tour, complete with a private tour guide, driver, and vehicle, tourists to the region want to ensure that their travel agent is the best they can possibly be. And there are many factors to take into consideration when deciding on a Tibet Tour Operator to help you organize the most outstanding trip on the planet. There are many travel agent or travel companies in Tibet. Some are run by Chinese and others are run by Tibetan. Where is the Tibetan Tour Operator From? The first thing to think about is where they are from. There are literally thousands of websites on the internet that offer tours of Tibet, and many of them are not even in the region. A very large percentage of the tour operators offering tours are based outside the Tibet Autonomous Region (TAR), and often outside China as well. 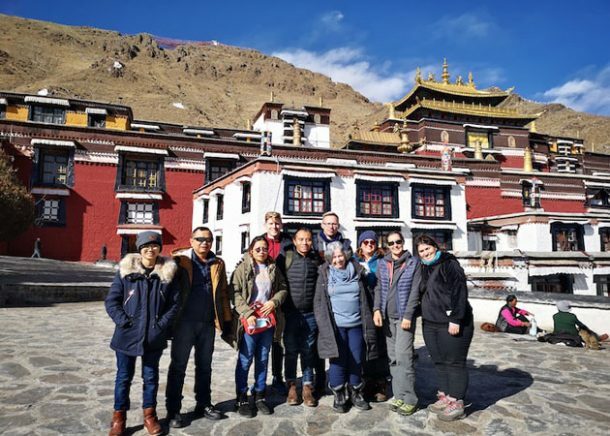 Many of the internationally located tour operators are inexperienced in Tibetan tours and use the services of a third party to run the actual tour, and once they are paid, they pass the tourists on to the third party and forget about them. There are also a large number of tour operators that are located in mainland China, from Chengdu to Beijing, many of whom have never been to the plateau, yet still offer advice and tours for travelers looking for a trip to Tibet. Without having experience in the field in Tibet, these tour operators are not always the best option for touring Tibet, as there is no personal touch, which makes all the difference. However, there are a number of tour operators that are located actually in Tibet, mostly in the Tibetan capital of Lhasa. Many of these smaller and more personal tour operators began as former tour guides that go out on their own, building up their business with recommendations from former clients. And there is a big advantage to choosing a tour operator that is actually based in the Tibetan capital, including the opportunity to meet your tour operator at their office in the city. Among it, the Explore Tibet travel company is one of the Tibetan owned travel company in Lhasa, Tibet. According to the TripAdvisor, it has been chosen as a top travel company in Tibet and has great reviews about their services. The quality of the tour you are booking is an important factor when choosing a tour operator, as nobody wants to take a tour that is not the best possible tour. 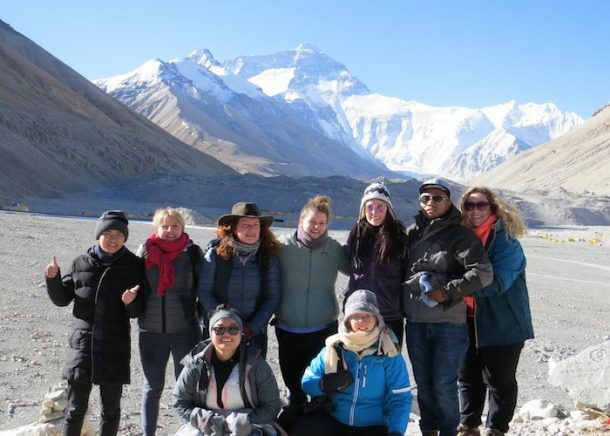 When choosing a tour operator from Lhasa, you are guaranteed to get an excellent quality tour, with attentive and experienced guides, excellent support staff, and knowledge of the plateau region that is second to none. 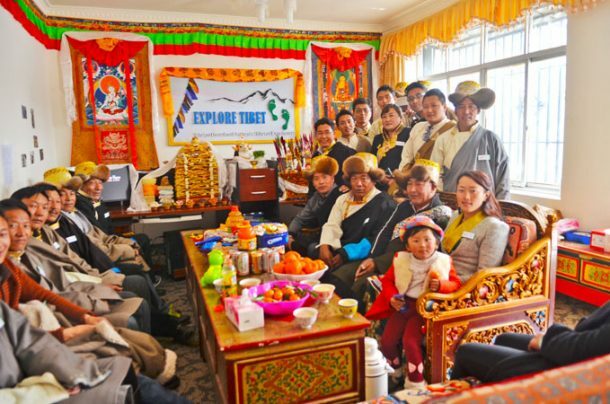 Many of the tour operators that operate outside the TAR cannot provide the support and experienced staff that local Tibetan tour operators can. Who would want to go on a tour and find that their tour guide does not know much about where you are traveling or has very little experience in guiding tours of their own country? Here at Explore Tibet, all their guides are knowledgeable and experienced, many with more than a decade of practical tour guide experience under their belts. Your tour guide plays a crucial role in giving you the history and the real stories behind the places and things that you will see while traveling in Tibet. What’s more, only a local tour guide can give you the cultural insight you need when traveling through the many small Tibetan villages and communities. It is also important to know that your tour guide is well versed in first aid training, and knows how to handle emergencies and instances of altitude sickness in remote locations. All of our guides are fully trained in first aid and have first-hand knowledge of altitude sickness, its symptoms, and how to treat them. We all want to have the best possible tour, and while many travel agents outside Tibet may have a vast range of what appear to be amazing tours. Most are booked by the travel agent through a local tour operator or through a travel agent located in mainland China. Large companies may offer a lot of different trips and itineraries but are often not very clued up on the small details of the tour, such as changes in opening times of certain monasteries and popular sites or the local weather. While at Explore Tibet do not have 1,000 different tour itineraries to choose from, they do have a good range of pre-arranged group tours to choose from, which take you to all of the most popular places you would want to see in Tibet. They also have an option to customize your itinerary to meet your own individual requirements. You choose where to go and what you want to see and they will give you a detailed itinerary of your complete tour of Tibet, based on local knowledge and experience gained from years of handling Tibetan tours. Only a tour operator from Tibet can give you the information you need in precise detail to ensure that you get the perfect tour for your needs, whether those needs are based on budget or simply on desire. The Tibetan plateau is a very delicate environment, and to maintain the precise balance on the Tibetan plateau requires a lot of hard work. Here at Explore Tibet, they are dedicated to reducing the impact of tourism on the environment and only providing tours that are part of the practice of Responsible Tourism. Too high a negative impact on the plateau from mass tourism could result in a breakdown of the environment that you are looking forward to seeing most, causing irreparable damage for future generations. Being a local Tibetan tour operator, they have a unique respect for their own land and want to preserve their own rich culture, indigenous traditions. And unpolluted environment so that future generations of Tibetans and travelers can enjoy the beauty of the plateau, the land they all call home. They also have a respect for eco-tourism, and use local hotels and family-run guesthouses for our clients to stay in, ensuring that the local economy is supported by your trip. They have always encouraged the development of local economies by using local services first and foremost. Check our extensive information on their policies Responsible Tourism. What you get for your money is important to you, and they understand that clearly. Your tours are designed to give you the very best of everything, and They really mean that. While many non-local tour operators merely give you the tour and the guide/driver/vehicle for their tour costs, but they have a wider range of inclusive items that many tour operators do not offer. Not only do they provide the group or private tour with a local cellphone with a local SIM card that accepts international calls (complete with all our contact information already included on the phone). They also include a complete first-aid kit in the vehicle, oxygen cylinders in the car for aiding with altitude sickness, bottled mineral water for all tours, a handy guide book/map to help you make the most of your free time, free airport shuttle buses twice a day. They arrange your accommodation and breakfast meals for you, from one of our recommended hotels and guesthouses or the hotel of your choice. They will make the booking and the cost is included in your original tour quote. And if you want, even make the arrangements for your train or flight to Tibet from Nepal or mainland China. Who you choose to provide your tour to Tibet really is up to you. But wouldn’t you want to have the best possible tour of Tibet for your money? That is what we want you to have.